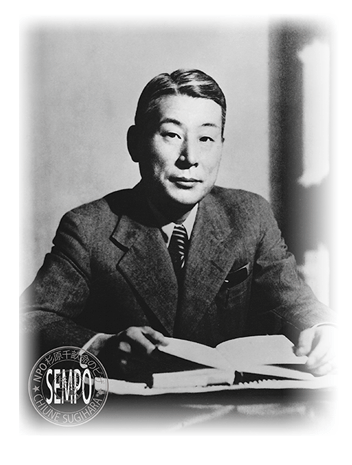 Chiune Sugihara, Japanese consul in Kaunas, Lithuania at the outbreak of World War II, acted in defiance of his own government to issue life-saving Japanese transit visas for Jewish refugees fleeing annihilation by the Nazis. These have been given the name “Visas for Life”. Vast waves of Polish refugees had escaped to neighboring Lithuania following the German invasion of their country on September 1, 1939 and were urgently seeking a way out of Europe, but the Soviet takeover of Lithuania and related closure of embassies and consulates made the task nearly impossible. In desperation, they approached Sugihara in hopes of obtaining transit visas through Japan as their only means of escape. Moved by their plight, Sugihara sought permission from his superiors for mass issuance of visas but was firmly rebuffed. The diplomat, struggling with his own conscience, “ultimately reached the conclusion that humanity and compassion come first.” He resolved to save the refugees and, at risk to his own career and future, issued thousands of visas that gave these people new lives. Copyright©2011 NPO Chiune Sugihara. Visas For Life All Rights Reserved.